Are you looking for an upbeat atmosphere, a fine dining restaurant or a quick hearty meal? 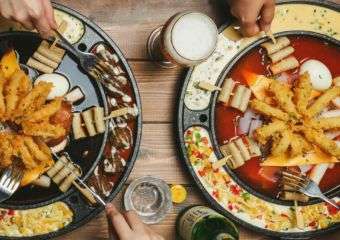 Hong Kong has a diverse range of dining experiences and we’ve rounded them up for you this April. The cool city has lots of hotspots for drinking, dining and entertainment. 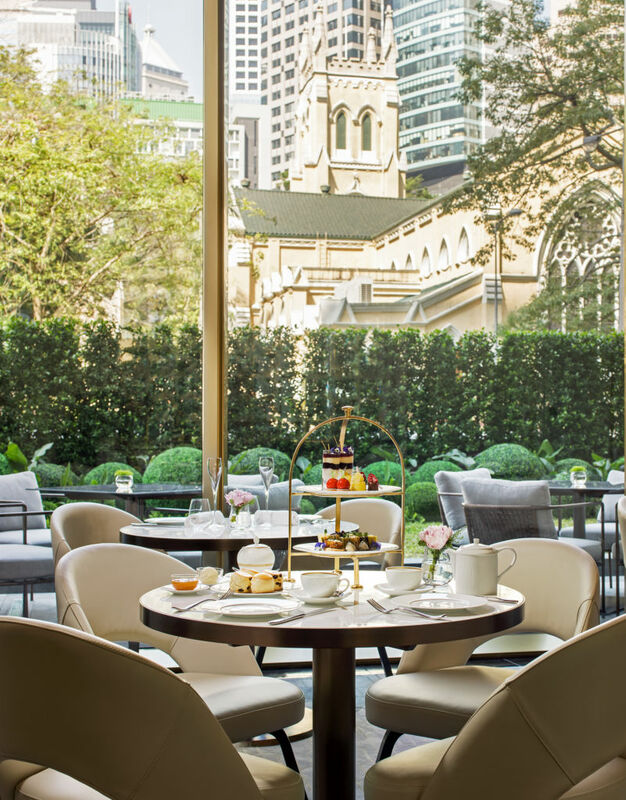 A new addition to the hotel scene of Hong Kong, The Murray is a stunning piece of luxury. It boasts of a variety of dining spaces that are set to attract the stylish crowd in the city. At the hotel’s lofty and light-filled lobby, the relaxing vibe of Murray Lane is perfect for some drinks and reflection of the day that was. It showcases an exceptional range of premium artisanal spirits, wines, and craft beers. 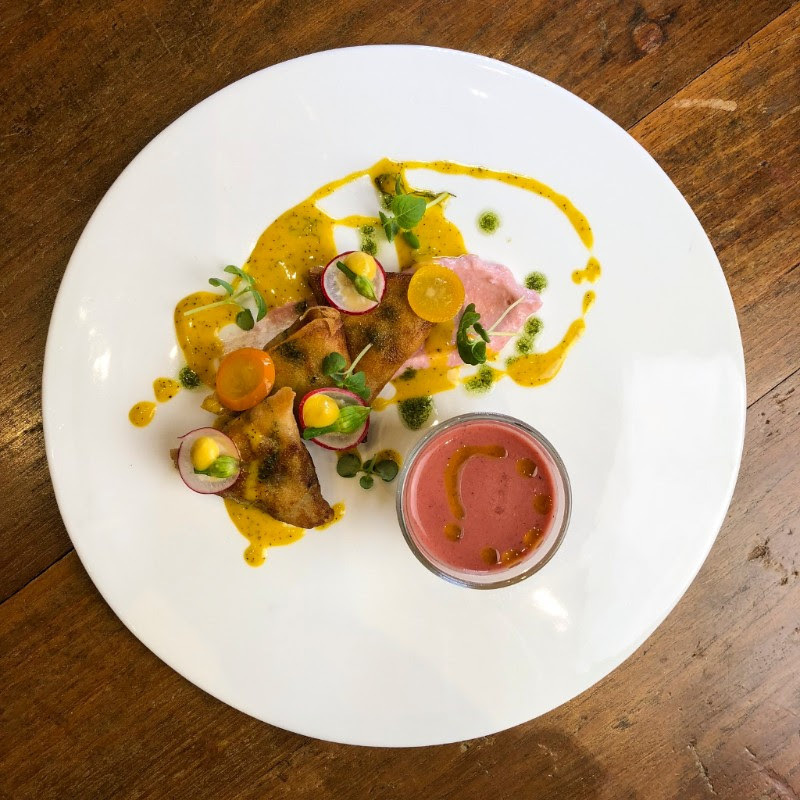 Mott 32’s culinary team has concocted a new a-la-carte menu to celebrate springtime in the city. 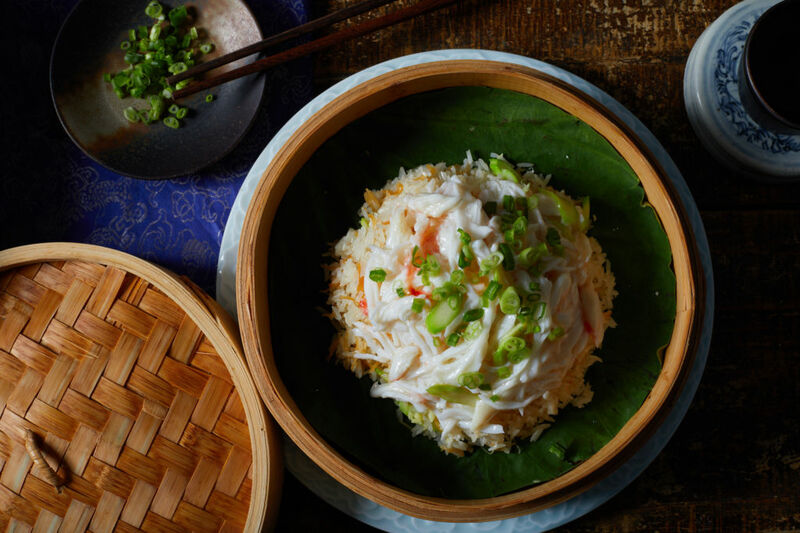 The new extensive a-la-carte menu showcases a number of Chef Lee’s creations that infuse traditional Chinese recipes with a modernity, such as perennial favorite white asparagus with Alaskan crab meat and honey peas, that is crunchy, sweet and juicy. Another must-try is the stir-fried razor clam with black garlic and the stir-fried lotus rootlet and dried mantis shrimp with XO sauce, tossed in a homemade XO sauce that enhances the freshness of the mantis shrimps and sweetness of lotus rootlets, elevating the dish to a new level. Say Bonjour to some fine French food at Le Bistro Winebeast. A refreshing spring menu includes a 3-course lunch menu only at HKD $150 per person. Start off with a savory foie gras terrine, and a choice between the green salad and/or the mozzarella and tomato salad. The main signatures that are hard to miss this season include beef bavette, seared tuna, seared salmon risotto and supreme de volaille. Cap off your meal with the pistachio pannacotta and airy chocolate mousse made with 56% cacao. You can also opt for the à la carte menu filled with flavorful options. Planning to travel anytime soon? 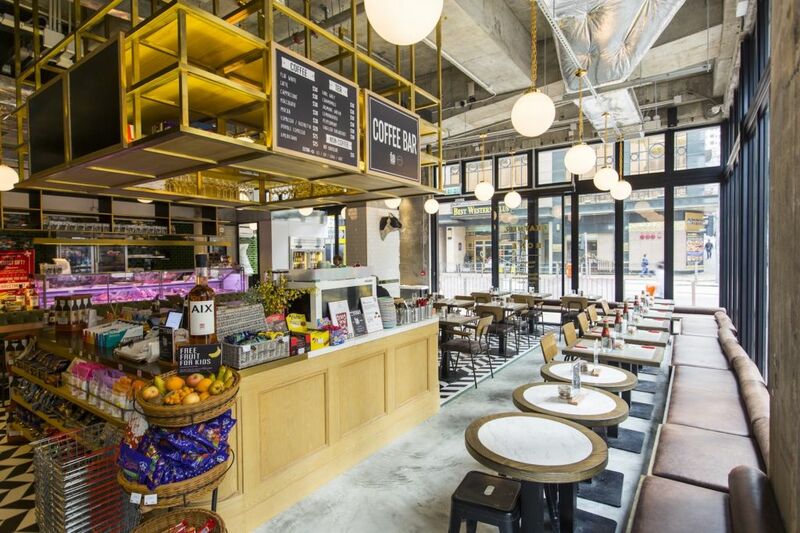 Don’t forget to drop by the new Beef & Liberty at the Hong Kong International Airport. Order their favorite signature dish– the bacon cheeseburger, made with grass-fed Scottish beef, Dingley Dell English bacon, raclette cheese and caramelized onions or the Notorious P.I.G with braised Scottish pork in homemade BBQ sauce, crackling, and cabbage slaw. Steak on Elgin is an institution when it comes to steaks in the city. Their new menu is something to look forward to this April. 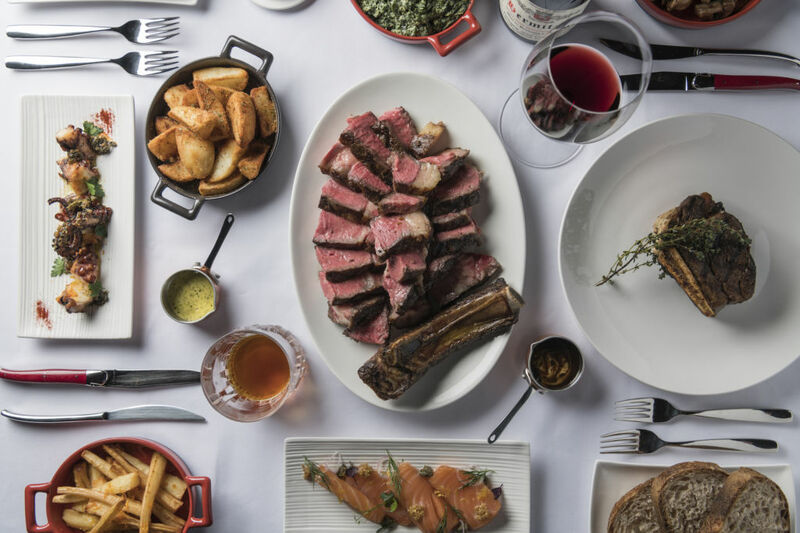 Serving up a spectacular feast crafted from fresh, seasonal ingredients, steak lovers will rejoice at the impressive 100% grass-fed UK-native beef selections that cover all cuts, from dry-aged filet mignon on the bone, rib eye, and sirloin, to porterhouse and more. With a total of six appetizers from the menu, highlights include the Crudo of New Caledonian “Angel Prawn” (HKD $178), complemented by arbequina smoked olive oil, cucumber, and fine herbs, and grilled Spanish octopus (HKD $185), cooked to a smoky char with anchovy, roasted garlic, and caper sauce (250g). There’s just a gastronomically beautiful meat collection at Steak on Elgin for all your meat cravings. Enjoy your mains with a total of six classic sides including bana cauda creamed spinach, hand-cut triple cooked fries, Yorkshire Pudding and more, all priced at HKD $78. We’ve fallen in love with this stunning new restaurant for its the nostalgic gourmet shopping experience. 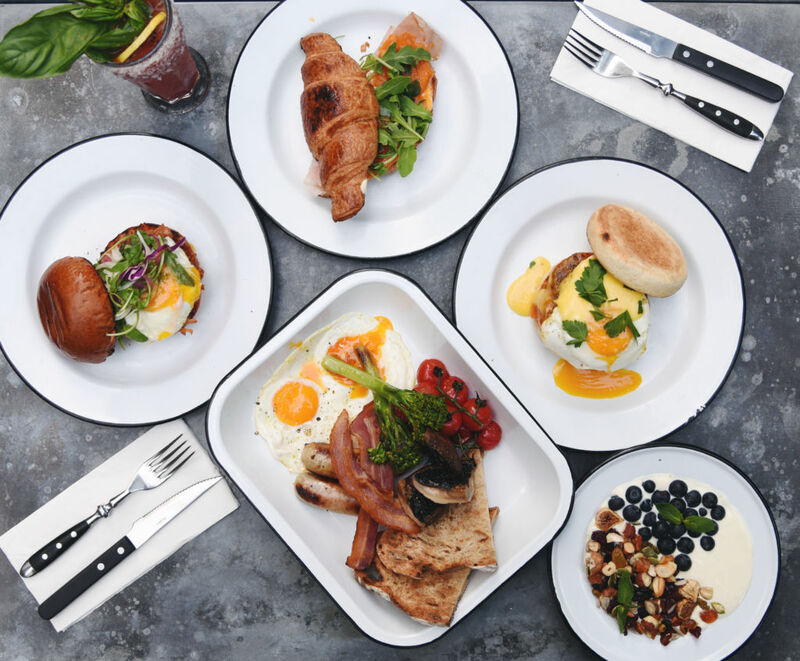 Feather and Bone is already making waves amongst urban dwellers for their signature FAB coffee and Sai Ying Pun only lunch combo which starts from HKD $108. 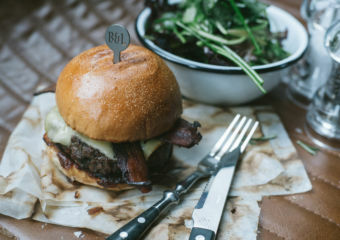 Comfort dishes include the butcher’s choice at HKD $300 per person and wagyu beef burger priced at HKD $220 made with Australian wagyu rump, thick cut bacon, portobello mushroom, aged comté and topped with an organic sunny side up free-range egg. 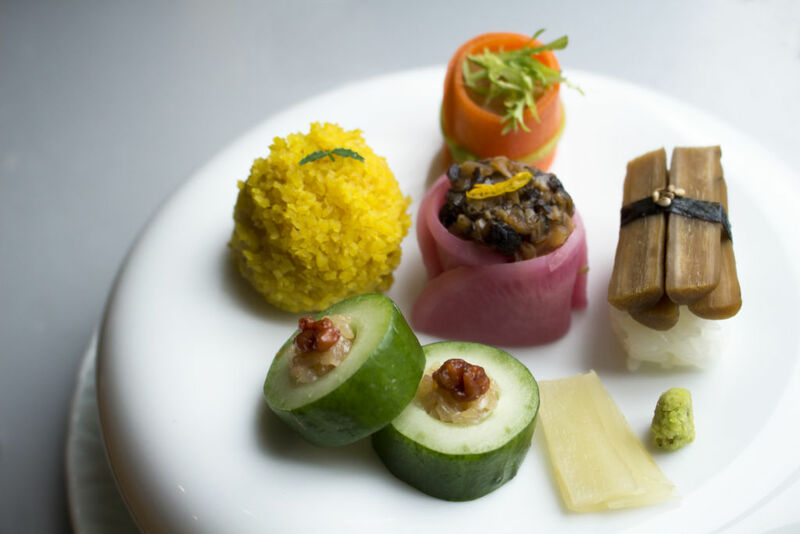 A health buff’s dream menu, Miyasako Yukihiro of Matsunichi has created a new eight-course ‘Vegetarian Vibes’ menu priced at HKD $600 per person. It is available on weekends for lunch and dinner and for ‘Meatless Mondays’ from April 1 to May 31. The delicious menu is devoted to vegetables, featuring a mixture of rare and seasonal greens sourced directly from Japan. It’s prepared with great attention, a respect for life and a rediscovery of the earth’s natural produce. Guests can enjoy a variety of vegetarian platters and dishes cooked a number of ways including seaweed Soup of Kombu, often called the king of kelp served with taro dumpling, as well as a selection of colorful vegetarian nigiri sushi, crispy vegetable tempura, vegetarian rice dishes and more.